Looking for an emergency drain cleaner to unclog your backed up sewer or drain in Estero? Cleaning drains or sewers is an area of plumbing not all companies specialize in. Some prefer not to offer Estero sewer and drain cleaning, while others just haven’t invested in the proper machinery to perform it. Having the right tool can make the difference. 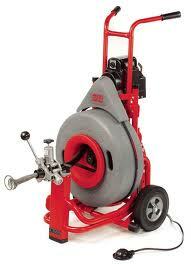 Moen Brothers Plumbing & Drain is a licensed and insured Estero sewer and drain cleaner. We have professional grade Ridgid sewer equipment and the knowledge to quickly diagnose a slow or clogged drain cleaning issue in Estero. 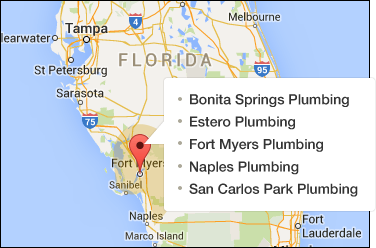 We offer 100% no obligation free estimates and 24 hour emergency clogged drain cleaning service to Estero Florida. Our trucks come fully stocked to handle any Estero sewer and drain cleaning issue. In addition to many traditional sewer and drain cleaning machines , we have color sewer cameras, digital sewer line locators and hydro jetters. In your Estero home are many different sized sewer and drain lines, each of these lines requires a specialized machine to properly clean it. Although a clogged kitchen sink sewer machine could clear a lateral or mainline clog, it’s not designed to do that and would do a poor job of performing it. We have each of the specialized sewer and drain cleaning machines to properly clean or clear any kitchen sink clog, clogged bathtub, clogged lavatory, clogged shower, clogged floor sink, clogged laundry, lateral clog or backed up sewer mainline in Estero. Experiencing a sewer or clogged drain cleaning back up in Estero can be frustrating, many of us take the sewer lines under our homes for granted. Very few of us perform regular maintenance to keep these sewer or drain lines flowing. Overtime, our sewer and drains slow as they become clogged with the daily products and foods we send down them.. If your sewer or drain line is found to be cracked or crushed, we have the ability to electronically locate the exact spot for plumbing repair. Electronic locating can minimize damage to your home or lawn by telling us where to dig. In most cases there is no need to dig, the sewer or clogged drain cleaning issue is usually a matter of hair, soap scum or organic build up. In some cases the roots from your trees may have gotten into your Estero homes sewer or drain. Can your trees break the sewer lines in your yard? Usually no, trees large enough to lift up sections of your driveway may have the size to crack a sewer line. After digging up countless sewer and drain breakages, I can say the roots growing inside many sewer lines are caused by age, poor workmanship or foreign objects puncturing the pipe. Once the pipe has been cracked, it leaks, then the roots come for the water. Knowing the location of your sewer and drain cleaning caps in your Estero home could save you money when it comes time to service your sewer or drain. These caps are access points for us to perform our Estero sewer and drain cleaning service. Over the years, these caps get buried by landscapers or covered by years of paint. Also, explain to your technician any odd noises you may have heard prior to your clogged drain cleaning issue. Some of these noises or areas you saw water come up from, will help us determine where the clog may be. Below is some information that may help you understand the many sewer and drain lines in your Estero home or what may have clogged them. common cause for this line to require drain cleaning. common cause of a lateral clogged drain. Kitchen Sink Line– Usually 2″ in diameter, carries grey water to the lateral sewer. grease or organic build-up. May need hydro jetting. Laundry Line– usually 2″ in diameter, carries grey water to lateral sewer. Lint and soap scum are most common cause for this line to require drain cleaning. lateral sewer. 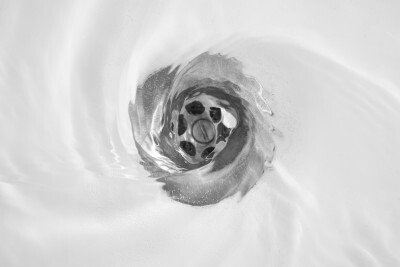 Hair and soap scum are the most common cause of a shower clogged drain.